These pictures were taken at the March 24, 2015 “Women of Legend and Merit Dinner” event in Nashville hosted by Dr. Glenda Glover of Tennessee Stated University. 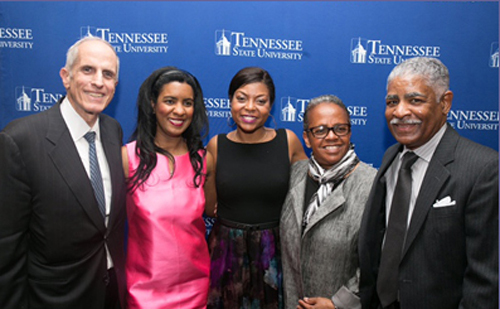 Taraji P. Henson was the keynote speaker and Dr. Starks introduced her. 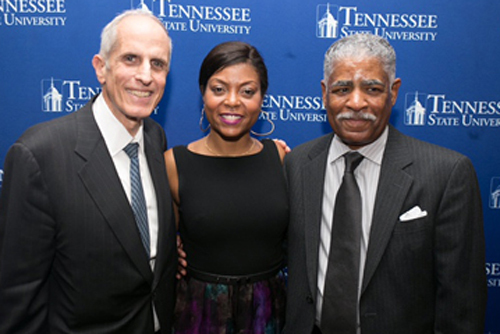 Taraji and Dr. Starks are pictured with Rahn Cox, whose uncle was a prior President of Tennessee State University, and his daughter Dr. Monique Cox, who is a Tennessee State University alumna. Rahn lives in Stamford, CT and Monique and her family live in Nashville. This prestigious event took place at The Women’s Center at TSU. The Women’s Center is focused on improving the lives and working environment of women. It envisions a safe, diverse environment that will help to improve the lives and working environment of all women at TSU as well as the surrounding community. Thanks to all who participated and contributed to this immensely important event!